DBP: Tell us about PowerMarket. 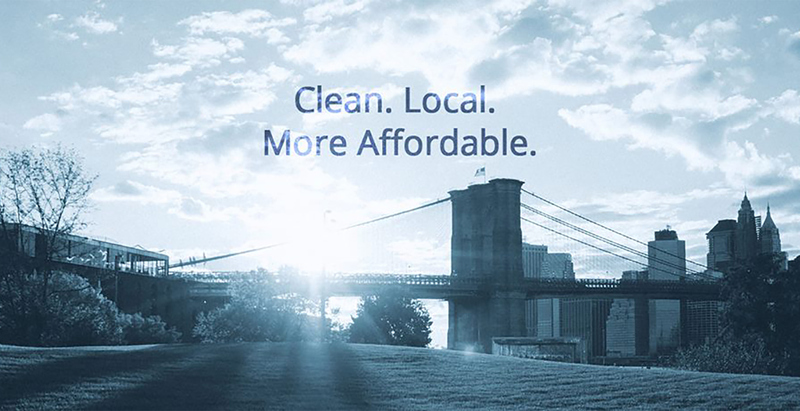 TT: PowerMarket is a Brooklyn-based cleantech startup committed to making clean energy more accessible, affordable, and ubiquitous. We do this by creating software to manage shared renewable projects, such as community solar. We work with big utilities (such as ConEd) and an array of solar developers to give them the tools and services they need to make these projects run smoothly and get more clean energy on the grid. We also work with a variety of environmental advocacy and community groups to do outreach and education about the energy transition we’re in the midst of. DBP: What exactly is community solar and why does it matter? TT: Community solar is the sharing economy for solar. Instead of buying panels and putting them on your roof, you subscribe to a piece of a large array built in your area. It costs you nothing to join, you save money on electricity, and you support new local solar projects. The community solar model matters because it includes everyone. There are a lot of reasons that most people can’t traditionally “go solar”— upfront costs, having a shaded roof, being renters—but community solar opens renewable energy to people who would have previously been excluded. It’s also important because we’re at a critical point in history where we have to change the way in which we get our energy and shift away from fossil fuels - community solar allows it to happen much faster. DBP: Who are your customers and what is your competitive offering to them? TT: Our customers are community solar subscribers, utility companies, and renewable energy (mostly solar) project developers. Our community solar subscribers are homeowners, renters, small businesses, and places of worship throughout the country who want to do their part to help speed up our transition to renewable energy, and who also want save a little money on electricity. We make it easy for people to join projects and save them money. For utilities and developers, we offer turnkey software solutions so that they can quickly and easily create shared renewable projects. We manage projects for them on an ongoing basis, customize the suite of services for their specific needs, and handle things like credit allocation and billing. TT: Part of the reason is that most of us live in Brooklyn. But the reason many of us live in Brooklyn is because so much is happening here. It’s a hotspot for cleantech and innovation (and music, food, art, etc). We’ve also been very fortunate to have been one of the companies chosen to go through Urban Future Lab’s incubator program, which is based right in downtown Brooklyn, in the Metrotech Center. That’s been an incredible launchpad for us as a company. DBP: What, if any, challenges do you face as a cleantech company in a fossil-fuel dominated industry? How do you see the cleantech / green energy industry growing in the future? TT: As with anything new, there’s some inertia to overcome and some resistance to change in the industry. For most of us, we haven’t really had to think about how we get our electricity, and haven’t had the option to make choices around that. I think the biggest challenge is increasing awareness that people do have a choice now and helping people get up to speed on how it all works. Fortunately, we like talking about energy, so we have our work cut out for us. The cleantech industry is growing fast and there are new companies starting all the time. I see things really taking off in the next couple years for community solar. Large scale storage will also play a critical role in getting renewable energy to the levels we need to power our cities. There are some big opportunities in building efficiency and IOT home automation so that we’re smarter about the way we use the energy we create. Fortunately, in addition to reducing emissions and making better use of our resources, these measures also save people money, which makes it that much easier to adopt. DBP: What’s next for PowerMarket? TT: A lot more community solar. We’re moving soon too! The company has tripled in size over the last couple of years, and we’re outgrowing our office space in the Metrotech center. I expect that we’ll have some company outings to some of the amazing outdoor concerts here in Brooklyn over the summer as well. DBP: Sounds great! How do I get involved or sign up? TT: I’m so glad you asked! We happen to have a few projects right here in the city that are open for enrollment. You can head to www.thepowermarket.com and choose a project near you, or give us a call at 212-381-6097 and we’ll help you get started. You can learn more about PowerMarket here.